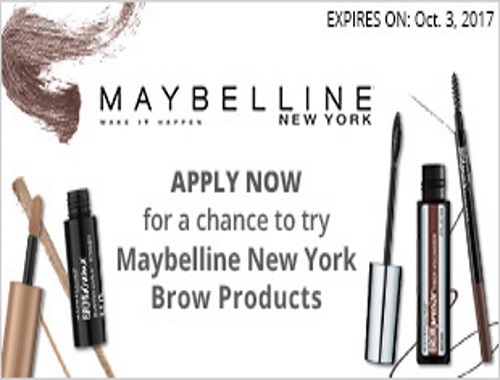 Want to try some Free Maybelline brow products? Sign up for a chance to try some from Chickadvisor's newest Product Review Club campaign! 100 Canadian women from the Product Review Club and their highly deserving eyebrows will have the opportunity to try all three of these products, the Maybelline Brow Precise Fibre Volumizer, the Shaping Chalk Powder and the Brow Precise Micro Pencil. You have until October 3, 2017 to apply. Offer open to residents of Canada. Selected members will be contacted by email no later than October 13, 2017. Click here to sign up for your chance.